The axe is a quintessential zombie-killer, and an axe of any size remains a solid choice for the survivor to turn to. 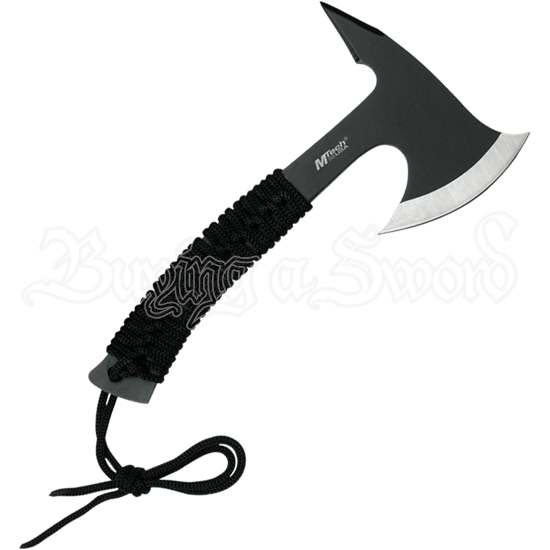 This Black Steel Tactical Hand-Axe is a side-arm and multi-tool, serving the survivor in a variety of roles. Small size and a light weight make this a great choice as far as side-arms go, yet thanks to it being crafted in 440 stainless steel, it is still a rugged axe that will not fail in skilled hands. The axe bit features a classic crescent shape that excels at cutting and chopping, while the reversed head features an angular spike that allows the axe to deliver a wicked back-swing. The haft is wrapped in black cord to add some padding and grip to the weapon, allowing it to be handled with ease and comfort. The axe includes a nylon sheath for easy carrying and safe storage. 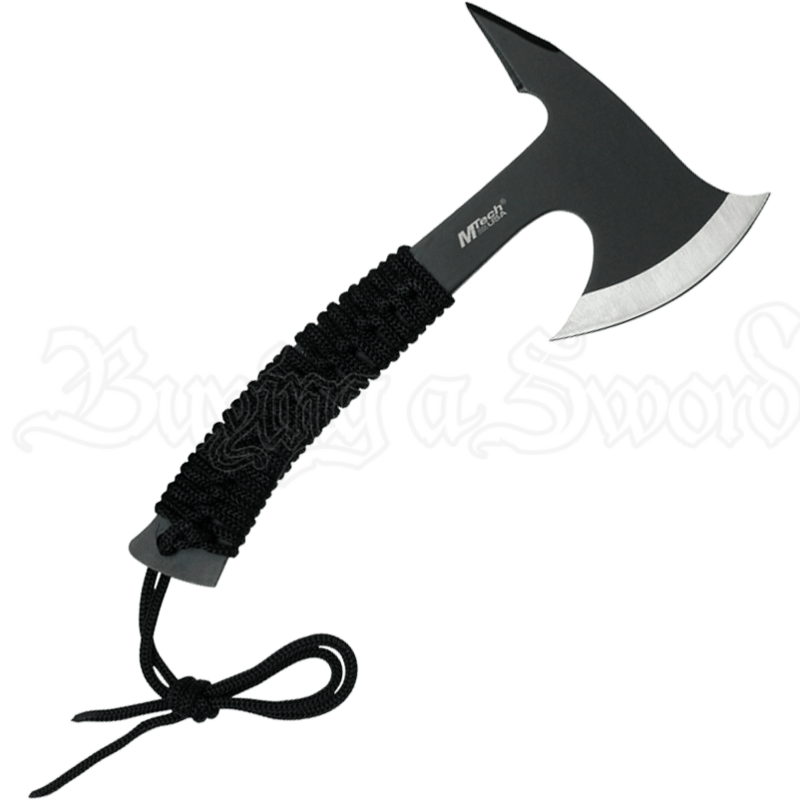 Two points of attack ensure that this Black Steel Tactical Hand-Axe will make quick work of any zombies, just as it will also help to make quick work of camping task when you are more concerned with surviving the wilds after civilization has broken down.